Subscription over-the-top TV (OTT) services have become ubiquitous. In the U.S., more than 50 million viewers currently subscribe to Netflix’s streaming service, Amazon Prime is reported to have over 60 million subscribers (albeit both free shipping and Prime Video users), while Hulu counts an estimated 12 million subscribers. In addition to the “Big 3,” in recent years, various sports, special interest and other OTT services have been launched and subsequently grown, as have non-video subscription platforms (among them Spotify, Pandora Plus/Premium and Apple Music). How many different services can consumers have before “subscription fatigue” sets in? 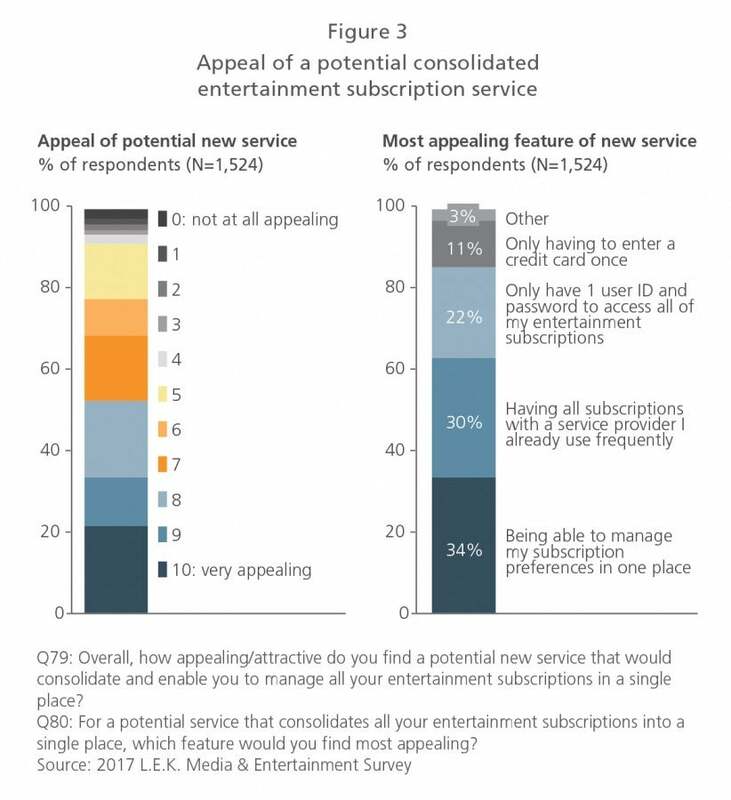 In what ways can service providers help consumers manage their subscriptions? Who will consumers ultimately turn to for guidance? 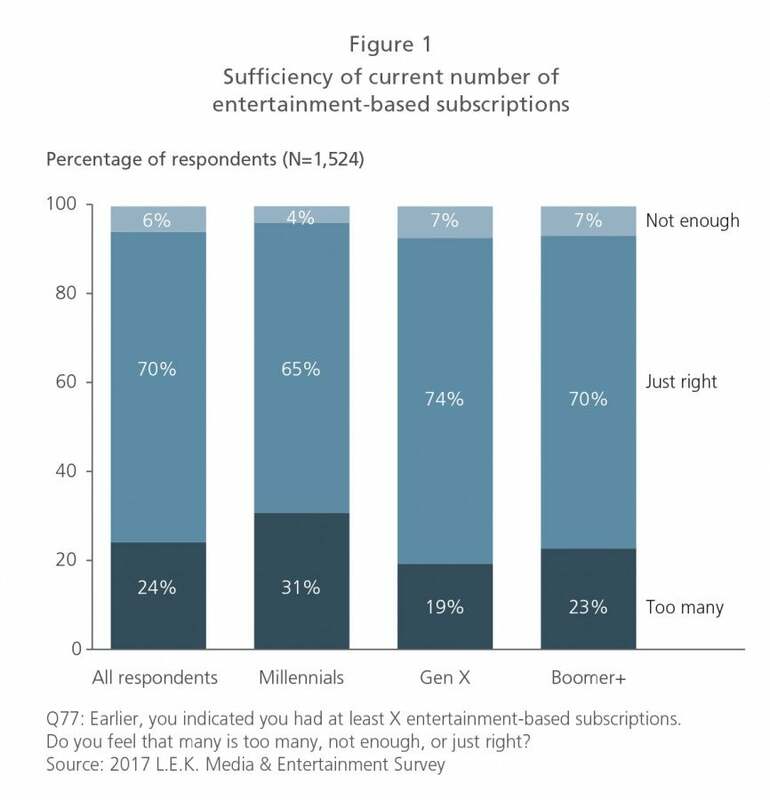 L.E.K.’s recent Media & Entertainment survey offered some insight into the growing subscription fatigue in the U.S. 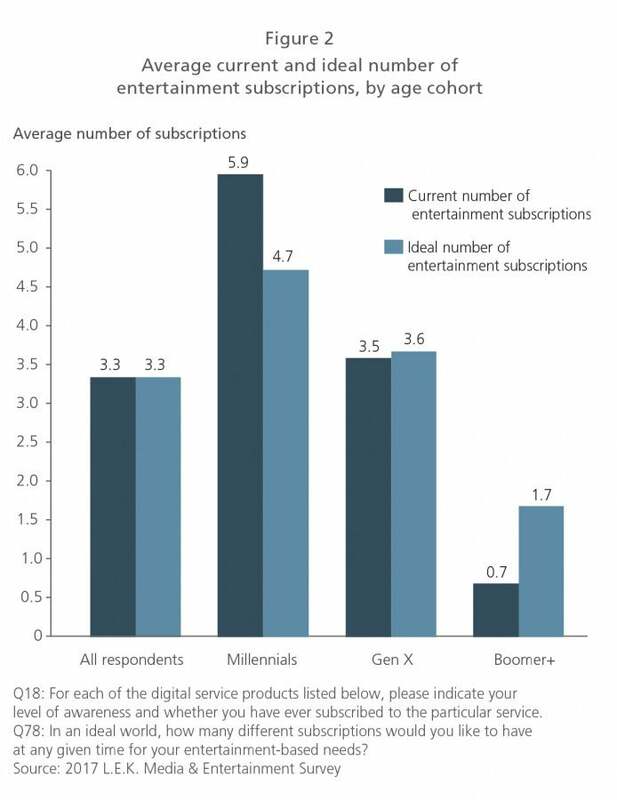 While 70% of consumers across different age groups believe they currently have the right number of entertainment-based subscriptions, a net of 18% felt they had too many. As the number of OTT offerings continues to climb, the opportunity to consolidate the management of these services on behalf of consumers is likely to accelerate as well. This Executive Insights cites key factors that are likely to support OTT aggregation.